2014 Meghan Trainor's "All About That Bass" hits #1 for the first of eight weeks, replacing "Shake It Off" by Taylor Swift (a Size 2!). 1969 John Lennon leaves The Beatles but agrees to not make an official announcement. The recording of "I Want You (She's So Heavy)" marks the last time all four Beatles were together in the same studio. 1969 The cartoon group The Archies claim the top spot in America with "Sugar, Sugar," which spends four weeks at #1. 2014 Lauryn Hill turns up an hour-and-a-half late for her show at the Brixton Academy, performs speeded-up remixes of her songs, and is booed by the crowd. 2008 R&B singer Nappy Brown dies of a combination of ailments in Charlotte, North Carolina, at age 78. Known for the '50s hits "Don't Be Angry" and "Night Time Is the Right Time." 2005 The benefit concert "From The Big Apple To The Big Easy" is held in New York's Madison Square Garden in order to raise funds for the Gulf Coast cities and towns devastated by Hurricane Katrina. Among others, Simon & Garfunkel, Elvis Costello, Lenny Kravitz and Elton John perform at this charity concert. 2004 Billy Joel gets a star on the Hollywood Walk of Fame. 2004 Green Day releases American Idiot in the UK. 2003 Howard Jones plays a sold out concert at the Shepherds Bush Empire, London. The concert marks 20 years since the release of his first single, "New Song." 2003 Fire destroys a lodge on Chuck Berry's Wentzville, Missouri, estate (arson is the cause, but no one is ever arrested for the crime). 2001 Jennifer Lopez does her first full set as a headliner when she plays a show in San Juan, Puerto Rico. 2000 Traditional country music singer and yodeler Don Walser receives the National Endowment for the Arts' National Heritage Award during ceremonies at the Russell Senate Office Building in Washington, D.C.
1997 Music Festival of India, a touring gala celebrating the 50th anniversary of India's independence gets under way at Cleveland's Masonic Temple. 1997 Nicholas Traina (lead singer for Link 80) dies of a self-administered morphine overdose in San Francisco, California, at age 19. Traina was the son of bestselling romance author Danielle Steel. 1995 Ex-10,000 Maniacs frontwoman Natalie Merchant kicks off her first solo tour in New Orleans with her first solo album Tigerlily at #15 on The Billboard 200. 1994 Liz Phair releases her sophomore album, Whip-Smart, featuring the Grammy-nominated hit "Supernova." 1992 Pearl Jam play a free concert at Magnuson Park in Seattle where they register thousands of fans to vote in the upcoming election between Bill Clinton and George H.W. Bush. 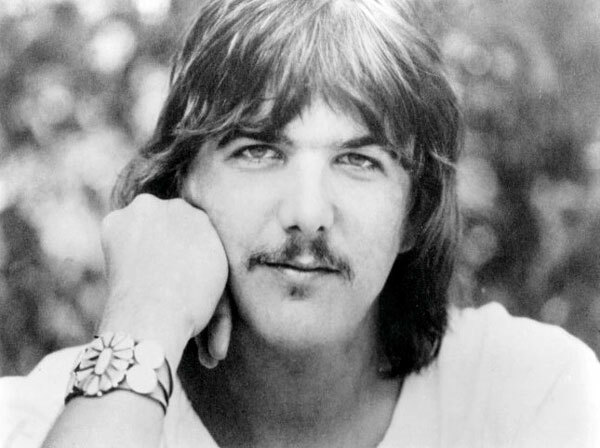 The body of The Byrds guitarist Gram Parsons is stolen and taken to Joshua Tree National Park, where it is set on fire. Parsons died the previous day after a visit to Joshua Tree when he took an overdose of alcohol and morphine. His body is at Los Angeles International Airport, scheduled to be flown to his family in New Orleans, but his friends Phil Kaufman and Michael Martin have other ideas: Showing up at the airport in Kaufman's hearse (his everyday vehicle), they claim the body, signing the release forms as "Jeremy Nobody." They head to Joshua Tree, about 200 miles away, stopping at a bar along the way where they drink a toast to Parsons. Arriving at the Cap Rock landmark in the park, they unload Parsons' casket, douse it with gas and set it on fire. Cap Rock has special significance, as it's where Parsons enjoyed an evening with Keith Richards doing peyote. The following day, authorities find the body, and Kaufman and Martin are later arrested, fined, and given suspended sentences. Kaufman claims that Parsons had asked for the desert consecration, and that he was simply carrying out his wishes. The incident becomes legend and provides Parsons with a far more elegant coda than his hotel room overdose.